Views From You... about the Bible! Homecoming Magazine wants to hear from you! The theme for our upcoming issue is "God's Word — Alive and Singing!" We'd love to hear about the role that the Bible plays in your life, and your comments may even appear in our next issue! If you’d like to share your answers with us, just type your answers in the “comments” section below. Thanks! Do you have a favorite verse or passage? What does it mean to you personally? 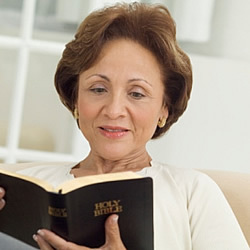 Have you had any life experiences during which God's Word really made a difference? We look forward to reading your answers!